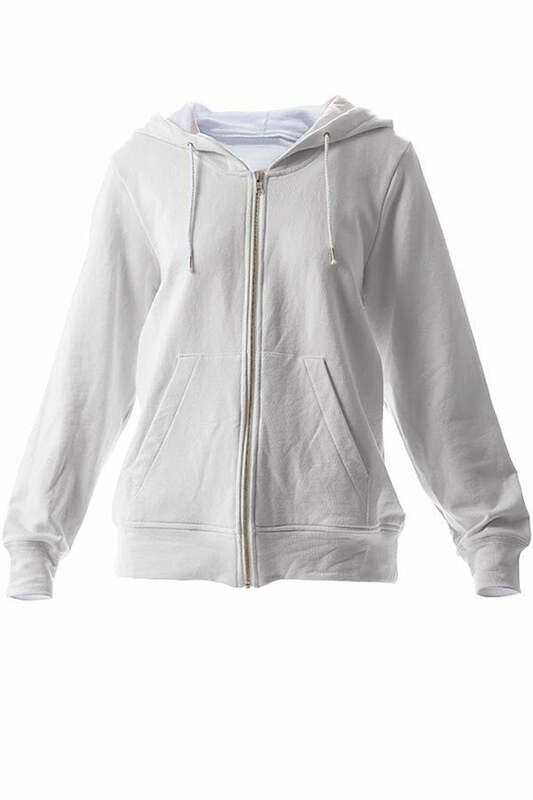 LAB: Zip Hoodies with Multicolored 35mm Leader Stripes on Light Grey - Film Leader Co. Shown in Inches. How to Measure. LENGTH 25.5" 26.25" 27" 27.75" 28.5" 29.25" 30" 30.75" 31.5"
CHEST 40" 42" 44" 46" 48" 50" 52" 54" 56"
WAIST 40" 42" 44" 46" 48" 50" 52" 54" 56"
SHOULDER 3.5" 3.75" 4" 4.25" 4.5" 4.75" 5" 5.25" 5.5"
SLEEVE 23.25" 23.75" 24.25" 24.75" 25.25" 25.75" 26.25" 26.75" 27.25"
Each item has its own size guide. The best way to get a good fit is to measure a similar garment you already own and match it to our nearest size. When in doubt, select a size up to ensure a good fit. 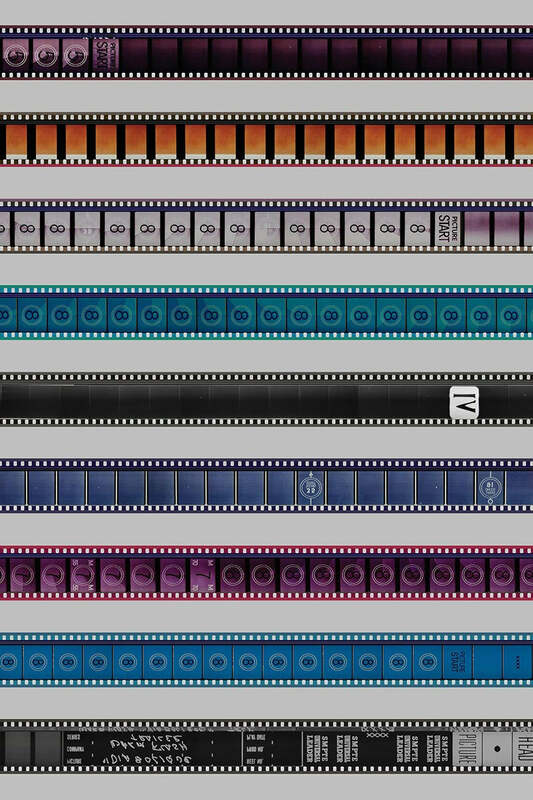 With the Film Leader Design Lab you can see what we've got in development and order first-of-their-kind items before they hit the main store! 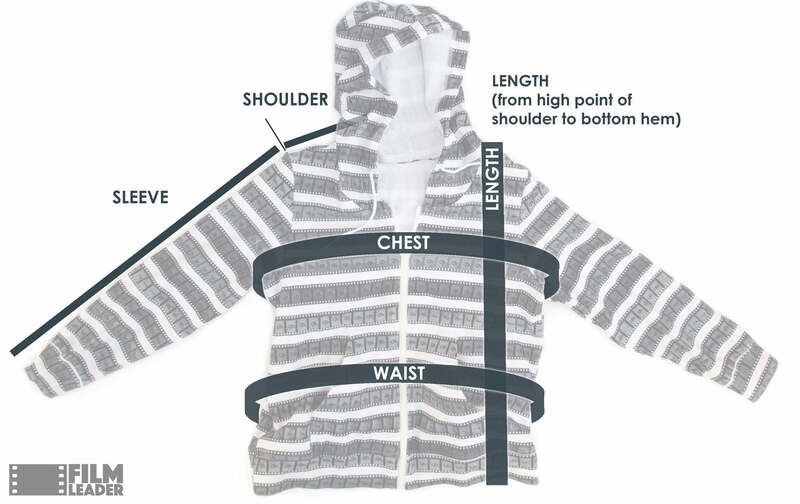 • Use the Zip Hoodie size guide to get the best size. • Made-to-order, with the same 2-4 week production time as our other items. In a rush? Shop our Rush Collection for items that ship within 24 hours.